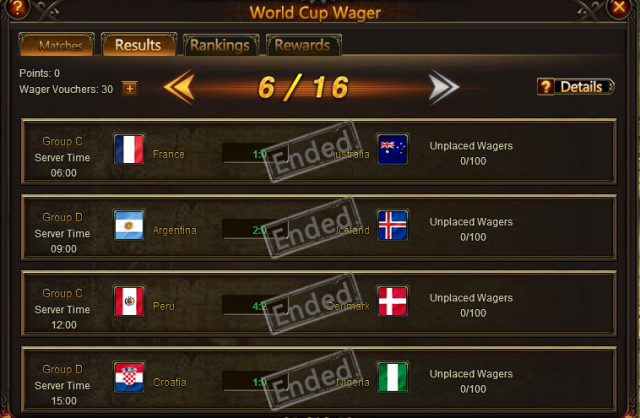 World Cup Wager: Join the Wager to get the Special World Cup Costume! 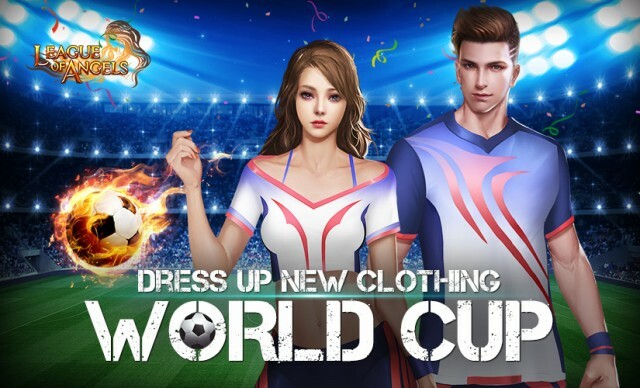 [In Game Event] World Cup Wager: Join the Wager to get the Special World Cup Costume! The countdown has begun for the 2018 FIFA World Cup. 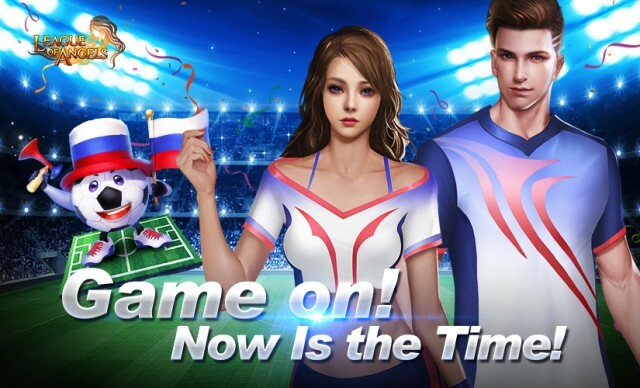 All players can join the World Cup Wager and place bets on their favorite 2018 FIFA World Cup football team in League of Angels. Bets may be placed from the June the 14th until the 15th of July. All players who participate will be rewarded with different points and chests and the No.1 player in the ranking will get the unique World Cup Costume! Read on to know more. 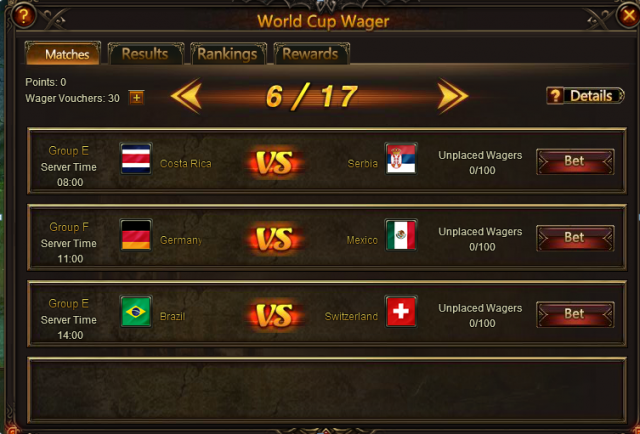 Entrance: Click on the icon “World Cup Wager” on the game interface. Eat, sleep, cheer, and repeat. Cheer for your favorite team in the special World Cup Costume! Apart from the hot appearance, dressing up the new clothing will gain great stats, more specifically, the most stats among all the clothing in game. 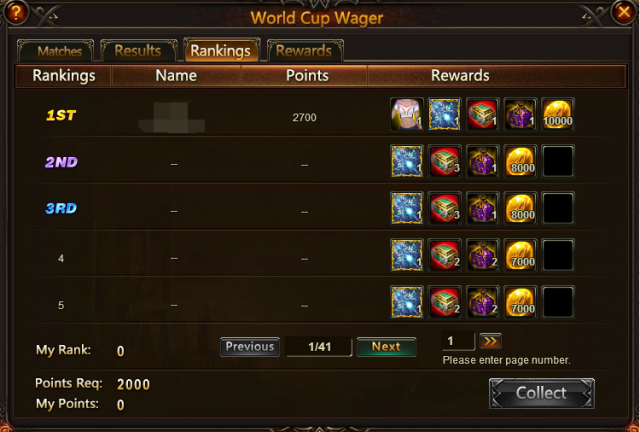 Don’t miss out the chance to be part of the World Cup event in League of Angels. 1. Players can place bets each day during the event. 2. Players may choose to bet on three outcomes: Win, Draw, or Loss. 3. Each time players bet they may use Betting Vouchers to place bets up to a given limit. 4. Correct and Incorrect bets will be rewarded with differing amounts of Chests and Points. 5. 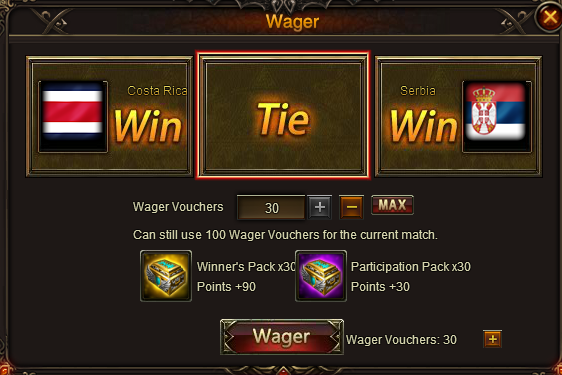 Chest and point rewards increase as more Betting Vouchers are used. 6. Rewards can be collected after players accumulate a certain amount of Points. 7. Players ranked highly on the Betting Rankings will be rewarded with great prizes. 8. Betting Vouchers can be obtained from using Diamond or Vouchers. Players may also complete in-game Events to earn more Betting Vouchers. 9. Each correct bet will be rewarded with 1 Chest and 3 Points. Each incorrect bet will be rewarded with 1 Chest and 1 Point. 1. All players who have participated the betting will receive points and collect rewards after accumulating a certain number of points. 2. The No.1 player in the ranking will be able to get the unique World Cup Costume and more after the event ends. In addition, a series of fantastic events will be available in game from June 14th to July 15th, during which time players will be able to summon cute Soccer Angel, build a customized World Cup Homestead, and obtain hot items. Be sure to keep an eye on the Facebook fan page and official forum for the latest news. Please note that the above content/screenshots may be adjusted due to the development plan. Final version will be determined in game. We hope all players will enjoy the special summer in League of Angels! Good morning. What code are you talking about? If there is any issue you might have encountered, please open a new thread in the corresponding section of this forum, this is News and Events section, for official announcements.Thank you.